This adorable little stuffed sea turtle is part of the awesome take-along-size Handfuls collection. 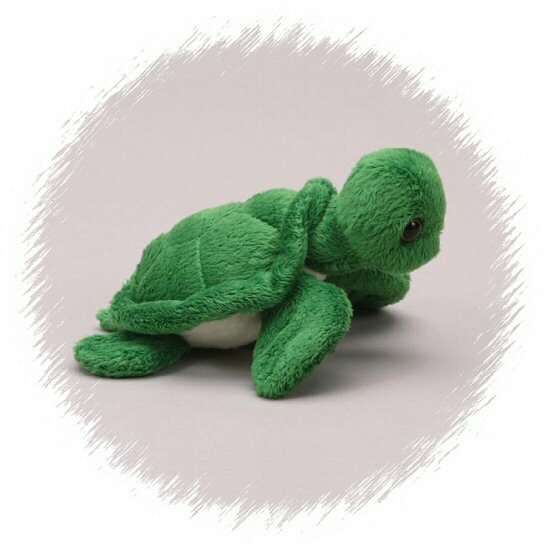 You will love this plush sea turtle's soft green body, white tummy, floppy fins, and sweet brown eyes. Thriving on fun, companionship, and imaginative adventure, Handfuls plush sea turtles are definitely friends for life.